The 202 South Thayer Building will be an approximately 60,000 gross-square-foot building located on the southwest corner of South Thayer and East Washington streets. The facility will have six floors plus screening for rooftop mechanical equipment, and will consist of approximately 38,000 net square feet of space. 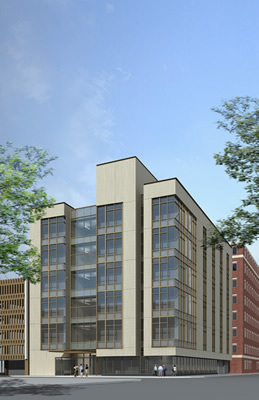 The 202 South Thayer Building will house the College of Literature, Science, and the Arts departments of Asian Languages and Culture and Near-Eastern Studies, and the Jean & Samuel Frankel Center for Judaic Studies, all currently located in the Frieze Building. In addition, the Humanities Institute will be relocated from the Rackham Building.